We are all eating out more and more with ¼ of adults and ⅕ of children in the UK eating out at least once a week. 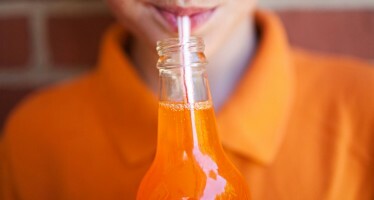 For far too long restaurants and fast food chains have been allowed to sell us tonnes of excess sugar and calories without us having any idea what’s in our food, while supermarkets are legally obliged to clearly label their products and follow guidance with regards to sugar and salt levels. Theresa May’s long awaited chapter two of the Childhood Obesity Plan, released in June this year, contained some robust measures, but the plan fell short of our benchmark strategy. We (along with many campaigners and charities) were disappointed to see many proposals bogged down with lengthy consultation processes. The consultation on whether to implement mandatory calorie labelling in the out-of-home sector was launched in September and Action on Sugar want the government to go further so we can see not just the calories but also levels of sugar, fat and salt on menu items we choose. When we buy a sandwich in a supermarket we can see clear colour-coded traffic light labels on pack and all the information we need to make an informed choice, why should we be denied this information when we eat out in cafes? As part of this year’s Sugar Awareness Week (12th – 18th November) we are calling for everyone to have their say, and demand clear, consistent and accessible nutrition labelling on all menu items when we eat out in cafes and restaurants before the consultation closes on the 7th December 2018. We are marking the week with a reception at St Bartholomew’s Hospital Great Hall where we will be holding a panel discussion with a range of speakers including Tom Watson MP, the Deputy Leader of the Labour Party and Cathy Port, Head of Sweet and Impulse Category for Costa UK. 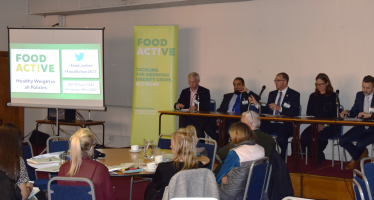 The discussion will be an opportunity for speakers to share their views on current nutrition policy, reformulation and the wider challenges of reducing obesity and related health conditions in the UK. We will also be releasing one of our surveys to mark the week, which will clearly reinforce the need for clearer nutrition labelling and the level of progress needed for Public Health England to achieve their sugar and calorie reduction ambitions for the out-of-home sector. It is clear that voluntary actions are not going far enough to improve our food environment and reduce the increasing burden on the NHS and the economy from obesity related health conditions and tooth decay, caused by excess sugar and calorie consumption. Have your say on the consultation on calorie labelling before 7th December. Since graduating with a First in Public Health Nutrition from Cardiff Metropolitan University, Holly has worked for Mytime Active as a Child Weight Management Nutritionist and Programme Co-ordinator, delivering healthy lifestyle services for young people across London. Holly has also worked as a Nutritionist for Waitrose working within the Technical and Corporate Responsibility team before joining Action on Sugar in May 2018. 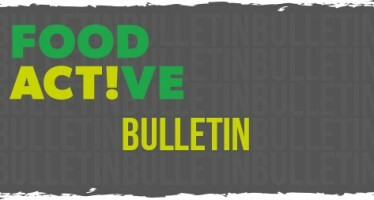 Keep up to date with the latest from Food Active with our monthly bulletins, you can find June’s edition here.